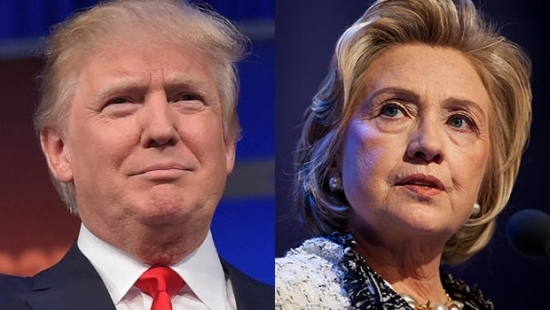 The first presidential debate between Republican candidate Donald Trump and Democrat Hillary Clinton is set for tonight at 9pm from Hofstra University. The debate will be televised, streamed, and even carried on social media. Many predict the audience will rival the Super Bowl gathering an audience of 80-100 million viewers. The two candidates are polling at a virtual tie. What will happen tonight is unpredictable. Will they stay on point and talk about policy, or will it be a race to the bottom with the candidates trading insults. If you are looking to get out of the house to watch the show, Xfinity LIVE and Chickies and Petes in South Philly are having viewing parties. Shots were fired during an altercation between Abington Police officers and an armed man believed to be suicidal overnight last night. It started when Upper Dublin police got a report to watch out for a 32-year-old man who left his home and was possible suicidal. Abington police officers stopped a man who fit the description in a parking lot at Limekiln Pike and Mount Carmel Avenue in Glenside just before midnight on Sunday. While talking with the man, he pulled a revolver out of his jacket and told police to shoot him. The officers grabbed the gun and wrestled with the man trying to subdue him. During the struggle, the subject's weapon fired multiple times. No one was injured by the shots. One of the police officer suffered minor injuries from the struggle. The man is being held for a mental health evaluation. Charges are pending. The Free Library of Philadelphia has just launched it's Music Instrument Collection at the Parkway Central Library location. Library card holders in good standing will be able to check out various instruments for free just like books. Right now the collection is limited to stringed, fretted instruments. That includes an electric bass, electric guitar, acoustic guitar, mandolin, banjo, and ukulele. The kit includes a gig bag, tuner, and strap (expect the ukulele). Amps/cables are also available for the electrics. You will also receive guitar picks to keep made from recycled library cards. It doesn't matter if you are a beginner or an expert, the library will loan to everyone. Each instrument will be loaned for a three-week term. They hope to expand to other instruments and are accepting donations. Pennsylvania Governor Tom Wolf has ordered all Commonwealth flags to be lowered to half-staff this week in honor of Pennsylvania-native and golfing legend Arnold Palmer who passed away on Sunday. Mostly Cloudy, temperatures in the low 70's this afternoon in Center City.